Why is it so difficult to Keep to a New Year’s Resolution? 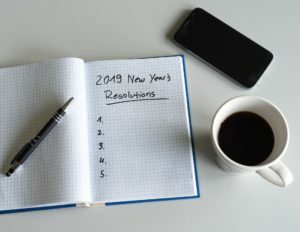 Many of us make a New Year’s Resolutions at the start of every New Year. But what if, setting ourselves a goal is counter productive – that we will probably fail? Should we still malke them and if so what can we do that will help us succeed? There is something about endings and beginnings which causes us to take stock and reassess our sucesses and failures. This is not a problem but often when we do this, we tend be overly critical which can make us feel rather uncomfortable. If our discomfort is strong enough it probaby will cause us to act but, those actions are more like knee-jerk actions rather than considered well planned interventions. Thus, often New Year’s Resolutions tend to be more like sudden inspirations and unfortunately having INSPIRATIONS does not necessarily mean CHANGE!! Personally, I have been inspired many times and sometimes I have been able to follow though for a period of time but generally after a while those old habits creep in and all my good intentions were eroded away. In my book, The AHA Moment, I write about my yo-yo dieting pattern which held me hostage for many, many years. I did just about every diet known and yet I still put the weight back on and even more some. I believe that this was because when I was inspired to lose, I would get excited and go at it with such vigour but when the reality set in and I realised just how hard it was going to be long-term to maintain it, I gave in and went back to my old ways. Do we ned goals – Absolutely YES!!! Now goals are important because they give us Focus, Resilience and most of all, a way to get us out of the bad feeling evern if the oevr-riding truth is that most GOALS OFTEN FAIL. We must to balance the amount of effort that it will take to do the new task aginst running old automatic patterns that are invested in keeping us the same. Just pretending that will-power alone will do this is foolery because the fact is that although there are people may have huge amounts of will-power, most of us will give in at some point. I certainly did! 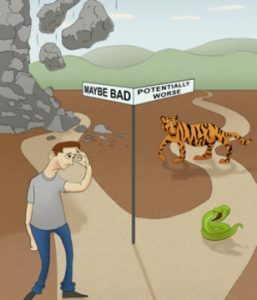 Therefore: We must determine how we are going to action our goals to “Maximise effect for the Least Amount of Effort” The fairy-tale story regarding The Hair and the Tortoise gives us an idea how we might go about this. Baby-steps, repeated systematic small steps help us get to the goal. And, not only that, it also lays the foundation for neurogenisis (creation of new neural connections) to take place. Here we generate the new neural pattern and also eliminate the old ones. A goal that is aligned with our IDENTITY makes the task so much easier to maintain. Remeber, goals help us create focus, persistence and success. So that when the going gets tough – the tough (YOU) can get going! Once we have set the goal we must stop focusing on the outcome. We must the LET IT GO. This may seem a little counter-intuitive but OUR RESULTS ARE NOT TOTALLY IN OUR CONTROL! We can do actions but the Results are never guaranteed. Importantly, our IDENTITY needs to be the driver that generates the impetus to keep our goals alive. Thus, our first real course of action must be to Commit fully and focus on finding the right systems that will work for us – A tried and tested systems. If you are addicted to eating, drinking, gambling, etc. then you must find the system that will work for you or alternatively search out a person | organisation that has experienced what you are suffering from and follow their direction taking the actions that has been proven to work consistently. small actions BABY-STEPS because baby-steps make the goal more manageable, it is something that you can do immediately and it allows us to develop habits. Therefore baby-steps makes us happier, lighter and more fulfilled. So, we actually get happier with baby steps not being like the Hare! Plan and a means of Monitoring how we action the Plan which allows us to evaluate our sucess continuously. When we can see that we are at we are getting somewhere and we are no longer stuck this boost our self-esteem. Moreover, when we tick of our boxes and see progress, we get the immediate ‘hit’ of success daily. This in turn builds our self morale and makes us feel more confident and self-assured. Cosmodic Therapy to turn Breech Baby using Slider 1. One-off session. The client (36 years) was in her 41st week of pregnancy and wanted to know if I could possibly use this treatment for turning her baby. She had already undergone had a manual procedure at the hospital to turn her baby but the baby had stayed firmly in place. She was really concerned that as the baby was also slightly bigger than expected that which meant that she might have to have a caesarean section. A quick history illuminated that this was a first-time birth; the client stated that there had been no complications during the pregnancy other than some bloating and constipation with the occasional twinge of back ache. On abdominal examination, the baby was breech sitting very high up and appeared to make her breathless. There appeared to be plenty of air in her abdominal region on percussion and looking around her pelvis there appeared to be some congestive oedema. I suspected that she possibly was quite constipated which may have filled up her pelvic region making it hard for the baby to engage into the pelvis. I did the standard 3-pathway protocol along the spine and paravertebral regions in Scenar-Cosmodic Slider Auto. Most of her high reading were located around the liver, pancreas and spleen areas (roughly about her T 6-7-8 regions) and lower colon (in roughly upper sacral area). Since the highest readings were on the liver I treated there first, the numbers were still highly activated when I went back to do a dosing treatment. I then worked couple of electrode widths along the dermatome to the right to be directly over the back of the liver. Once those numbers reduced I moved across to the left paravertebral to balance. I also decided to dose one level up on the midline as this is also a main feed tor the heart (around T5-T7) as I felt that this would help with her anxiety. Working over this region took approximately 17 minutes. During this time, she was telling me that she was feeling very relaxed and the baby was moving around in her stomach a little more although it was still in the breech position. She also had plenty of abdominal sounds indicating that something was happening. Given this was her first session and I know that pregnant women can be rather unstable in the way they regulate their circulation I decided to change to Scenar Slider MYO at power setting 30% and massages over the lower hack and sacral regions. My consciousness was that I wanted the tissues to soften and become more elastic as this would allow for the muscles to move evenly and help open the pelvis a bit more. The client left me feeling very happy stating that she could feel things moving. Later that evening she had an effective evacuated (a large amount of stool) and experienced that baby doing very extreme movements. She also had fell a drop in her stomach and was concerned and went into the maternity section in her hospital and they told her that the baby had turned but no contractions. She had a 4-hour delivery three days later. She did not need an episiotomy and there were no tears. She was very delighted. 33-year-old lady presented with infertility issues and was coming for reflexology treatments. Her history was that she had been trying to get pregnant for the last year. Her mother had died just prior to them starting their fertility journey but this still felt very raw still. She also had a rather stressful job with a lot of demands placed upon her needing to meet deadlines and combined with her failure to get pregnant she was feeling very anxious indeed. She had never been pregnant before but had undergone testing and everything seemed to be for her age. Her diet incorporated plenty of fruit, vegetables and some meats – mainly fish. Her weight was within good parameters. In her first reflexology treatment, her feet were very withdrawn showing “emotional shutdown”, distortions to normal flow in kidneys, sacral region, neck heart and colon. I saw her weekly doing reflexology and some abdominal drainage work for about 6 weeks. I had mentioned Scenar-Cosmodic therapy continuously during these sessions but she didn’t like the idea of having it. However, on the 7th week she finally agreed to me giving her a Scenar-Cosmodic therapy treatment. I gave her 5 Scenar-Cosmodic sessions. On all sessions, I initiated the session with the 3-pathway protocol in the default setting of Scenar-Cosmodic Slider Auto. For the first three session, the main areas of high activation and which I treated were the sacral and lower lumbar regions and the areas around C7 and just below. I finished all sessions on with the dispersing the energy using Scenar Cosmodic Slider Myo with power setting of 20-35 depending on where I started. Immediately after the first session following doing MYO at the left shoulder region (approximately in line with 4 cm from down from C7 a very bright red spot came up just over her heart region. Given her grieving about her mum and her lack of getting pregnant I took this to be a sign that what really needed to be treated is the heart region. The redness resolved before she left the session room. The next two follow-up sessions were much the same in activation. She complained of her candida having been activated – this would explain some of the lower sacral and lumbar activations. On her fourth sessions, the chart the heart area readings started to become more activated. I was pleased to see this as she was beginning to show physical signs of relaxing much more and was also telling me that she had begun doing more work to help her relax. She also stated that she was feeling much more positive about things. However, she was complaining of intense bloating I the area of her ovaries which felt very hot to touch. During this treatment which took 35 minutes in total dosing was very quick however it took 23 minutes to dose in the region over the right paravertebral approximately 12 cm from C7. Area estimated to be close to right atrium – the body’s pacemaker location. However, it was over the left paravertebral on electrodes width to the side that she told me that she was becoming super relaxed – unusually so! Her bloating had was gone and the area felt normal to touch. The last session that she attended for SCT her activation readings were mainly in the neck and the hear region. She was calmer but a little upset that her partner was not doing all he can to help with his part of the sperm health. She had a little discomfort over her abdominal regions but that it had been a very stressful week and that her neck and shoulders were tight. The treatment lasted 34 minutes. Dosing areas of activation were quick with however the longest treatment did not dose at 20 minutes 4 electrode widths to the left (top of the shoulder) in line with C7. MYO was done again to disperse the energy in these regions using Scenar Slider MYO setting power 30%. She then went away on holiday and became pregnant and decided that this was the completion of her treatment. Recently I have been extremely busy in attempting to get my book The Aha Moment finished so that it could be published. Thankfully it is now out there for everyone to read. However, I must say that it has been quite a journey for me and I wanted to share some of my learning with you. Of course, you can buy the book for yourself, and I hope after this blog you will read it. The people that have done so have found it immensely useful for them. However, I wanted to just share a little of what was going on for me so that you would have a glimpse of the process that I took. You might even decide to write your own story. As a therapist, I had many insights and stories to tell but when I started writing I really didn’t know what I wanted to put down on paper. I had a total mind block where all those pearls of wisdom just left me and it became harder and harder to find the nugget that I was wanting to share with the world. It was only when I looked at the areas in my life where I had overcome difficulties that I realised perhaps that this was what I was meant to talk about. I later found that this correlated with a lot of what was happening for my clients but somehow completely blind to that. My story was that I had been a Yo-Yo dieter since the age of 14 and had never learnt that to keep the weight off. You see I was so ‘addicted to the feeling of control’ that I had during the weight loss program that I never really wanted to learn how to keep the weight off permanently. So, I never instigated actions that would make the weight loss stick! Looking back, I realised that it was only when I learnt how to maximise the way my brain likes to optimally work that I could make those changes stick. To do this I found that I needed to address the three natural barriers to change which involved learning how to activate my brain’s natural mismatch mechanisms. These mechanisms are pivotal for any new learning to take place. What I did was to notice when I was doing my ‘bad habit’ and to change it automatically. This instantly primed my neurology to future situations where I might relapse into my old ways so that I could immediately become aware and make a different choice. Albert Einstein (1879 – 1955) commented that “No problem can ever be solved from the same level of consciousness that created it” and moreover that the definition of insanity “is doing the same thing repeatedly and expecting a different result”. So, I had to do something that I hadn’t done before – I had to focus on changing my brain so that I could persistently manifest those change behaviours, with limited effort at all. The result of the accumulation of my brain changing would effectively create a new state of being for me. From my lear ning, I created the ICAN® Change Transformation Model, which is designed to create incremental changes in your brain every time that you do targeted actions to encourage brain changes. These changes are designed to heighten the neural activity in our brain so that when we reach a threshold level a transformation or Aha Moment can happen. Current research on the use of therapeutic drugs to generate Aha Moments to help people change habitual has been shown to be effective. However, people do slowly relapse back into their old ways. I believe this is because people have not done the actual work to ensure that the transformation sticks and that means that their old patterns are still running. After my big Aha Moment, I realised that these intensely spiritual-like states could be created naturally, without drugs. If we could only produce these mental states then we could have permanent change that is relatively effortless and easy. The ICAN® Change Transformation Model does just this. 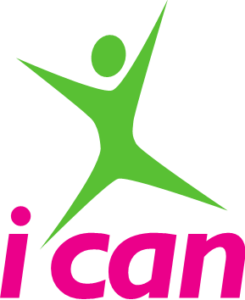 ICAN® uses psychotherapeutic modalities such as hypnotherapy, NLP, EMDR, EFT, Clean Language, Coherence Therapy to help create the neurological changes within the brain that maximise the possibility of Aha Moments to happen. Thus, because ICAN® is designed to help you to generate your own intuitive Aha Moment it is a very safe and effective programme for you to do. We certainly all had a lot of fun and a heap of interesting discussions that kept us on our toes. All participants said that they found the course material immensely valuable in helping them learn to work their devices properly, administer a Scenar-Cosmodic treatments that maximises recovery and integrate this into a holistic approach. All students stated that they would strongly recommend our course to other practitioners. We would also like to say a very special heartfelt thank you to all the volunteers that gave of their time to be treated by the students. As always valuable learning takes place during these sessions. We would also like to give a special thanks to the Chris Kitch Team that provided the most delicious food. The Cosmetology Day was successful demonstrating the wide range of therapeutic approaches that Scenar-Cosmodic Therapy has. Vivienne and I have just completed our second Scenar-Cosmodic training in Ojai, CA. It was wonderful to be back at the Krishna Murti centre – home from home. Again we had a wonderful group of students coming from as far as Australia to attend the course. It is always so good to have the opportunity to do what we love doing and seeing students develop from complete novices to almost complete practitioners in their own right. Feedback from the students was that they very much appreciated treating not only fellow students but also real clients, who very kindly made themselves available as bodies to be treated. We are so grateful to these clients for giving valuable feedback, greatly helping to accelerate student’s learning. We were also fortunate to launch our second one-day Cosmetology workshop which hopefully will become yet another valuable addition to our training courses. We would especially like give our heartfelt l thanks to our lovely course co-coordinator Anat Dagan without who’s help we would not have easily managed. Over all feedback from the student tell us that that they found the course very insightful and a safe place to learn. Furthermore unlike any other health related courses we had achieved our outcome of creating a totally integrated approach to health and well-being. They all said that they would highly recommend the course to others.